The PlayerUnknown’s Battlegrounds progression team has shared an update on what it’s been working on these past few months. Earlier today, PUBG’s PC test servers went live with a brand new, 5.6GB update. The main focus of this one is on player progression. Or, more specifically, weapon progression. The developer has implemented a new system that tracks weapon kills, headshots etc. There are ten tiers of weapon mastery for each weapon, with ten levels each. Climbing through the tiers will unlock unique rewards not available for purchase in the store. These include charms, emblems, and medals. Charms work in a similar way to how they do in Rainbow Six Siege, in that they’re 3D cosmetic dangling from the side of the weapon, which further personalise the weapon’s look in first-person alongside skins. PUBG Corp. didn’t reveal how emblems, and medals will work just yet, however. At the end of every match, you’ll now see a results screen that tracks your progress across the different weapons you used in that round. 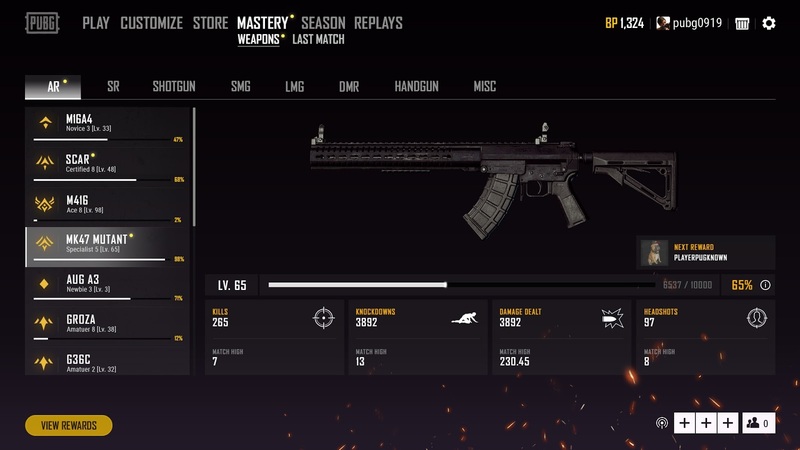 There’s also a new Mastery menu that keeps record of all the levels of your various weapons, including other stats like damage dealt and so on. This is where you’ll be able to see how far you have to go for the next reward. As always, the feature will first be available on PC test servers before rolling out to the wider player base a week later. PS4, and Xbox One players can expect a similar rollout structure, but specific dates for consoles have not yet been announced. The post PUBG is getting Rainbow Six-style charms, weapon progression appeared first on VG247.